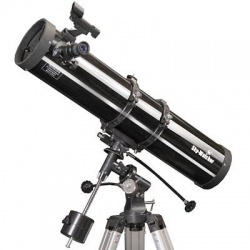 Invented as an alternative to the refracting telescope in the 17th century by Sir Isaac Newton and known as the Newton telescope or the reflecting telescope. Most major astronomy telescopes used in research today are reflector telescopes, these type of scopes use a single or combination of curved mirrors that reflect light and form an image. 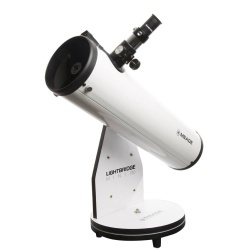 The reflector telescope is a very popular type of astronomy telescope mainly due to the relatively low cost to produce versus high quality of results. 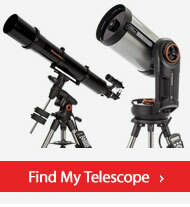 One of the most popular models of reflector telescopes if the Celestron Astromaster 130EQ AstroTelescope. 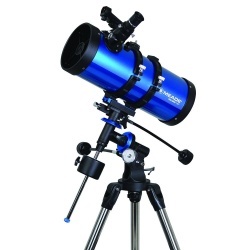 We stock reflector telescopes from Celestron and SkyWatcher and we have models for all skill levels; so whether you are a beginner, intermediate or enthusiast astronomer you will find a model of reflecting telescope to suit your needs. Reflecting telescopes use curved mirrors to reflect the light entering the scope and form the image that is viewed. 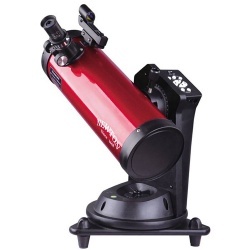 Our range of reflector telescopes to buy online are available in a range of focal lengths and aperture sizes and if you have any questions about buying a reflecting telescope please contact the PicStop team. 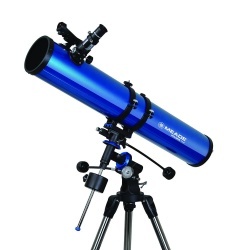 We have a number of reflecting telescopes that make ideal first telescopes and are great gifts for those showing an interest in astronomy. 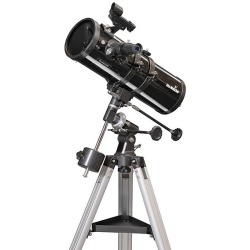 The Celestron Astromaster range is excellent telescopes that are easy to set-up and use and an excellent entry point to the exciting world of astronomy.